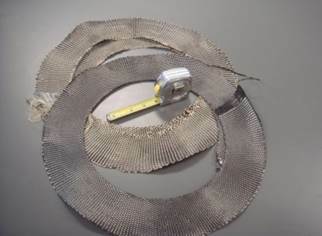 TEAM's array of complimentary weaving processes includes needling, shaped and polar weaving techniques which have been applied in industry for such applications as carbon-carbon brake pads for aerospace, low di-electric radomes for commercial aero and defense applications and shaped aramid fabrics for aircraft engine containment. TEAM's proprietary stitching process is capable of forming ultra-complex preform geometries and fiber orientations not feasible with traditional 3D weaving and braiding processes. Off-axis stitching through preforms up to 3" thick, using fragile carbon and ceramic fibers is possible. Finally, TEAM's resin infusion work cell is commonly used to support our customer's R&D programs via tool and mandrel design support and VARTM and RTM processing from matrix systems including epoxies and phenolics.